Drs. Theodore Henderson and Larry Morries found only high-power NIR can penetrate skin and skull to ignite repair of damaged areas in the brain – a medical paradigm shift. 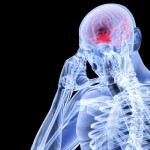 CENTENNIAL, Colo. (September 16, 2015) — Hailed as a “breakthrough” treatment for people suffering from the effects of traumatic brain injury (TBI), researchers have found a unique method of applying high-powered near-infrared light (NIR) that can penetrate the skin and skull to reach the damaged portions of the brain, and effectively accelerate regeneration of the brain cells’ functionality with minimal skin irritation. Published today in the Neuropsychiatric Disease and Treatment, the study “Near-infrared photonic energy penetration: can infrared phototherapy effectively reach the human brain?” was conducted and authored by Theodore Henderson, MD, PhD and Larry Morries, DC, both based in Denver, Colorado. 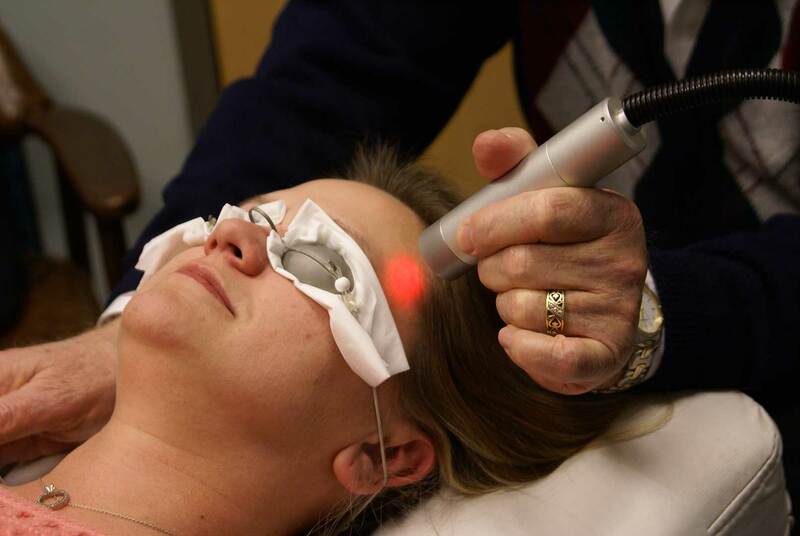 Low-power infrared light in the milliwatt range does not penetrate a full thickness section of human skin (2mm), nor does it deliver any significant infrared energy to a depth of 3 cm into the brain. High-power infrared light achieved at least 3 cm penetration into the brain. This included wavelengths of 980 and 808 nm with 9-13 Watts average power. A “pulsed” application of near-infrared light might be more effective than continuous wave light. No thermal skin irritation occurred, and skin temperature change was negligible. Existing medical assumptions about the penetration of NIR underlying current medical applications are faulty. Previous work by Henderson and others has shown that the most common areas injured in the human brain are the bottom of the frontal lobes and the temporal lobes which can be 3-7 cm from the scalp. The Center for Disease Control reports more 2.5 million concussion and TBI emergency visits occur annually. According to Dr. Henderson, symptoms of persistent TBI can include headaches, speech irregularities, confusion. memory slips, lack of impulse control, sleep disturbance, anxiety, depression, and for some, suicide. The Neuro-Laser Foundation (NLF) is a non-profit organization, based in Denver, Colorado, dedicated to transforming lives of those distraught with various symptoms resulting from traumatic brain injury (TBI). Building on more than 30 years of studying the effects of NIR on cells and tissues, the Foundation is advancing technology and treatment approaches that will increase quality of life factors for people impacted by traumatic brain injury. More information is available at TBI.care.